Home › Blog › Blog › Awesome Con was… well… don’t make me say it. Awesome Con was… well… don’t make me say it. But first, let me apologize for being a bit AWOL. Steve and I have been very focused on both live author events, as well as working on Book Two of the Paladin of Shadows Chronicles. Yes, the long awaited sequel to Annwyn’s Blood is currently underway. And we are very excited to reveal the title to you in the near future. However, we have some very important things to share with you! 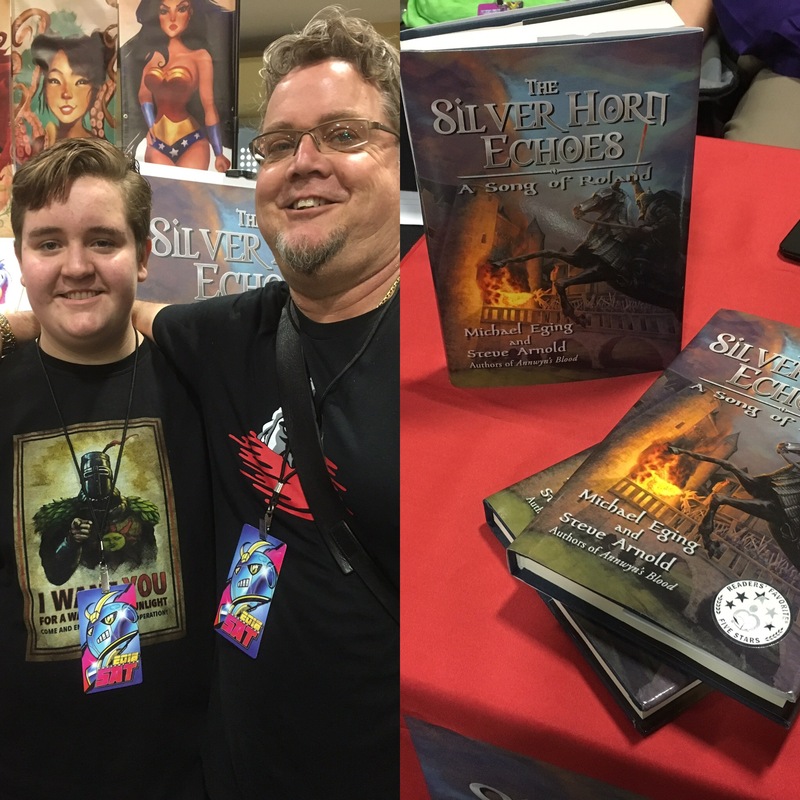 First, now that Awesome Con is in the books, and was a The Silver Horn Echoes success, we will want to share some pictures with you! Of course, let’s start with a young man named Roland. Yes, he was a rock star at our booth, and he dragged his good natured father along with him to learn more about The Silver Horn Echoes. We almost had him convinced that we needed him in the booth, with the two very hard working authors, signing books and posters. He was a very good sport, and was very happy to be a guest on our site. Now, for those of you wondering what might be next, well let me share with you! Steve and I are not often together in the same room, let alone at the same booth. We will be at All-Star Con in Tyson’s Corner, VA for the entire weekend! June 15-17th, 2018 for The Northern Virginia All- Star Comic Con. Where? Sheraton Tysons Hotel, Tysons Corner, Virginia! And as a bonus to our readers, we have a special CODE for when you sign up! That’s right, use our CODE ‘eging‘ for your registration, and we will provide you with a 25% off discount at our booth, for all things Silver Horn Echoes, and Annwyn’s Blood! The code expires on 6/1 so get registered today! And visit this page for more announcements and really cool stuff! 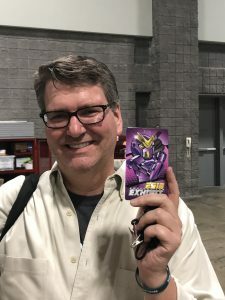 Fairfax Comic Con: Escaping the Heat! Copyright © 2017. Michael Eging and Steve Arnold. iUniverse | All rights reserved.